The PTJO brings their 5th Annual Holiday Concert to the main stage of the historic and newly renovated Carolina Theatre! In celebration, they’ve prepared an exciting show of all-new arrangements, featuring some of the area’s most beloved vocalists! From new versions of the VERY old to the very new, sacred to secular, and serious to not-so-serious, the PTJO has been delighting holiday audiences with their infectious energy, swing, and variety for 5 years. Come hear why this is the most talked about big band in the state, and celebrate Christmas in style at the Carolina Theatre! 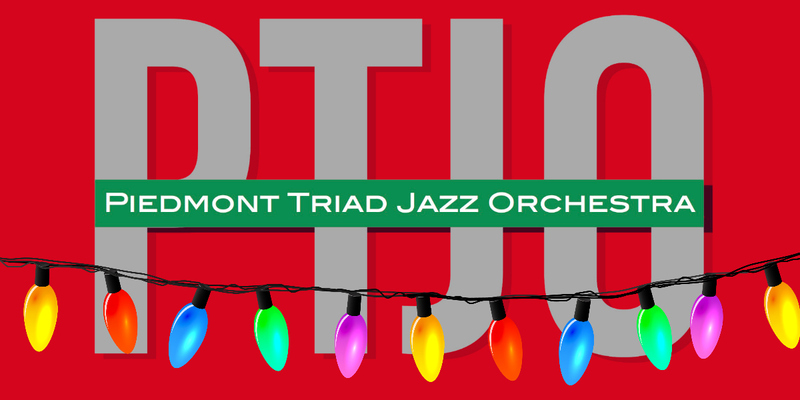 The Piedmont Triad Jazz Orchestra (“PTJO”) is group of professional musicians dedicated to upholding the tradition of the finest big band composers and arrangers (Ellington, Basie, Gillespie, etc. ), while promoting the performance of new arrangements and compositions by its members. It is a truly cross-generational ensemble, comprised of some of North Carolina’s finest and most respected jazz educators, music professionals, and up-and-coming young artists. Its musicians are alums of the big bands of Wynton Marsalis, Harry Connick, Jr., Toshiko Akiyoshi, Christian McBride, the Smithsonian Jazz Masterworks Orchestra, plus many more, and as arrangers/composers, its members have created well over 100 works for big band, many of which will make up the band’s unique repertory. Tickets: $22 for Adults and $18 for Seniors, Students, and Military. A $3 Facility Fee and NC sales tax will be added to the price of each ticket. Everyone must have a ticket. There is an additional $3.50 per ticket web fee for Internet purchases; call 336-333-2605 to avoid those charges.